This is what I used to say when I saw many smoothies named grasshopper smoothie or a spinach and berries smoothie. I felt yuck at the mere mention of them. I thought I would never be able to gulp them down though I always appreciated the food value they have. Not that I don't like spinach, but having it raw along with fruits that too all pulped up felt not right. More because we don't get organic stuff too easily here. So whenever there is fresh spinach from my garden, I make a few salads with it. 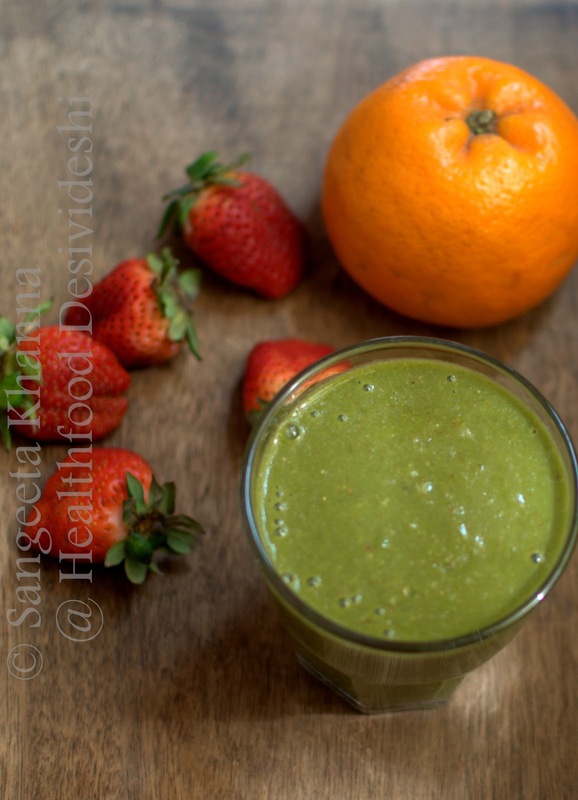 And then I tried a smoothie one day, combining it with the refreshing and aromatic oranges and strawberries. It smelt really good and tasted only of oranges and strawberries to my amusement. If you make someone drink it blindfolded, no way one can recognise any spinach in it. The story changes when you add celery to this smoothie. Celery is aromatic and makes it's presence felt. I preferred spinach in this particular combination of fruits. I had this post in the drafts and when someone asked me if I can give ideas about how to include spinach in fruit based smoothies, got reminded of this. 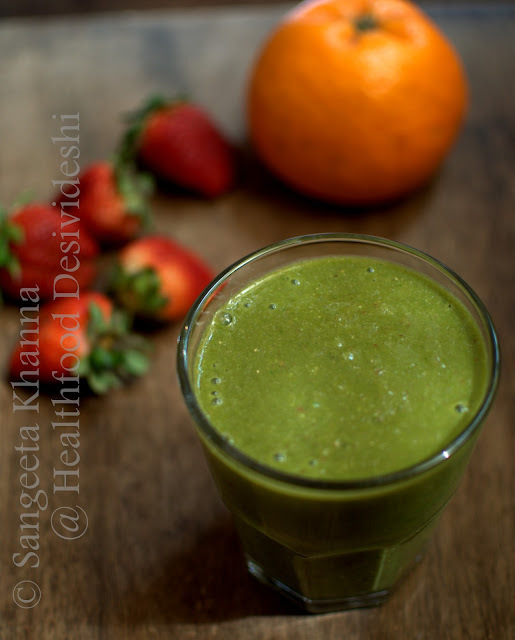 A cup of packed spinach, a cup of orange segments separated and 6 large strawberries is all I blended for a large glass of this green smoothie. No water was used. 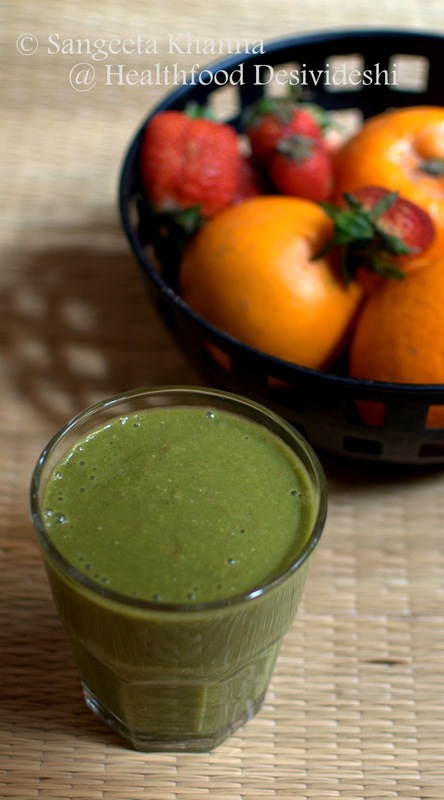 After having this smoothie for about 3-4 times now, I will try it with green tart apples may be. But to be honest, I would rather have the apple as it is and steam the spinach and eat it as it is for a breakfast, may be cook an egg on it as well. This smoothie will be reserved for the days when I want a detox after a particularly bad eating bout. spinach in my smoothie? How?